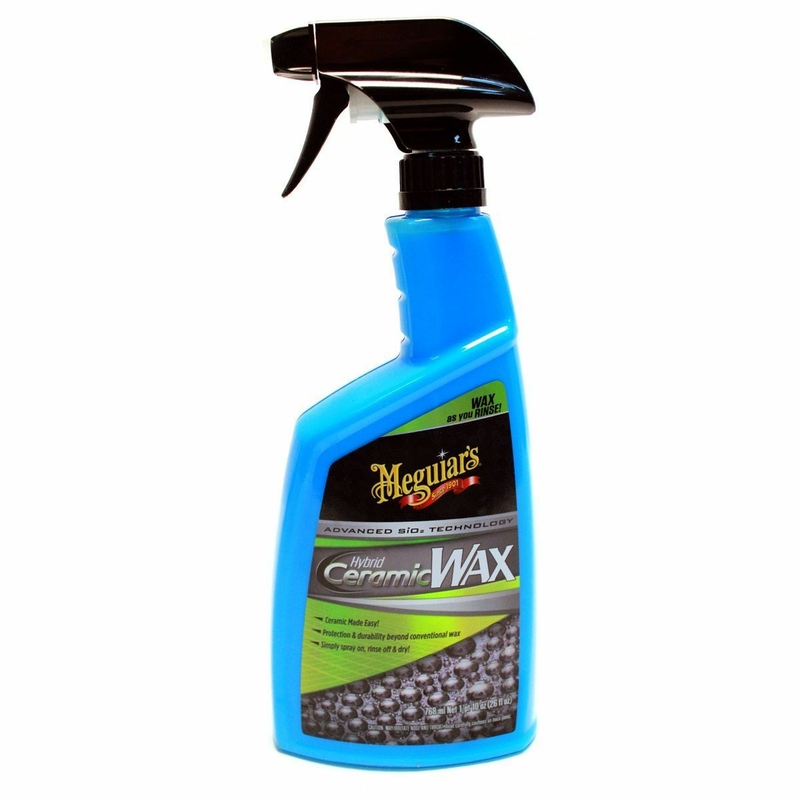 Meguiar's magic in a bottle! Do you want an easy to use car wax that with cutting-edge, sophisticated technology that delivers the latest in protection? Meguiar's Hybrid Ceramic Wax is the answer. With all-new, advanced Si02 hybrid technology you get ceramic protection that's so easy to use, you can actually wax your paint as you rinse off your car! After washing & rinsing off the soap, simply spray on Meguiar's Hybrid Ceramic Wax and then follow that with a second rinse with a strong stream of water. This final rinse helps to spread and lay down the wax evenly for you. Dry your vehicle like you would normally with a quality microfiber drying towel, like Meguiar's Microfiber Water Magnet Drying Towel. There’s no rubbing or buffing and there's no curing time. You're left with ceramic protection and durability well beyond conventional wax and extreme water beading protection. Conventional? No. Sensational? YES! It's Ceramic made easy! Very easy to apply. Works great. Looks good after applying. ProsEasy to use. Fast shipping.